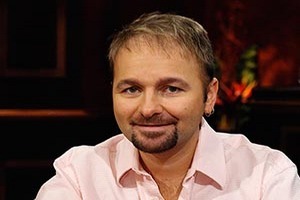 There is no love lost between two of the biggest names in poker: Daniel Negreanu and Annie Duke have a long history of disagreeing that stems from one of their first meetings at a poker table way back in 1996! The poker industry was first made aware of the feud back in 2002, on the now defunct rec.gambling.poker forums where everyone from Doyle Brunson to Mike Caro, and Daniel Negreanu to Howard Lederer would talk poker. Negreanu has called out Duke out for putting her bare feet on the chairs in poker rooms and wearing dirty clothes, to more egregious acts such as breaking poker etiquette rules and even shooting angles. Duke has had Daniel’s chat banned. Even Howard Lederer jumped into the battle at one point. The most recent flare-up between the two comes on the heels of the Womens Tournament controversy –Negreanu is in favor of the tournament while Duke opposes it—and the two have taken a couple of pot-shots at each other on their respective blogs. On his blog Negreanu makes a clear point that Duke’s website refers to her as “The Best Female Poker Player in the World” yet she has an issue with the gender segregation of the WSOP Ladies Tournament. It starts in his defense of the Ladies Tournament, but comes to a head in an entire blog entry aimed at Duke’s claim. This entry was posted on Tuesday, June 15th, 2010 at 5:04 pm and is filed under Poker News. You can follow any responses to this entry through the RSS 2.0 feed. You can leave a response, or trackback from your own site.